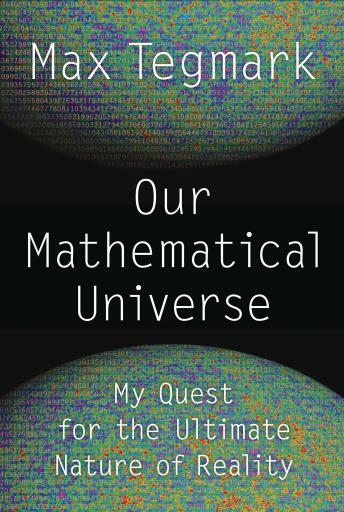 Listen to "Our Mathematical Universe: My Quest for the Ultimate Nature of Reality" on your iOS and Android device. I had seen Max Tegmark on TV and also heard of this book, but had put it off for a while - I'm glad I picked it up. I personally do agree with the theory because it solves the most important problem of all - the infinite regression problem. Anyone with an interest in metaphysics will love this and give you insight into the nature of reality, than any occult or philosophy book could ever dream of. Fantastic book :) Max Tagmark explains his points of view about the creation of the universe and how it relates to our physical and subjective perception according to the discoveries we currently have in science. His approach to the mathematical unity as per the ultimate solution to all of questions still not answered and the ones we even still couldn't imagine is fairly radical and provoking. Perceiving our reality just as part of an infinity web of parallel worlds and infinity progression is definitely mind boggling and just makes you travel with him through these many worlds in search of knowledge and fulfillment of the gaps of our current understanding of life and how our place in the universe matters to the context of everything. Great book, I definitely recommend it!